John Saunders has an Exhibition here. My photographic style: Love capturing mood and personality in wedding and portrait photographs. 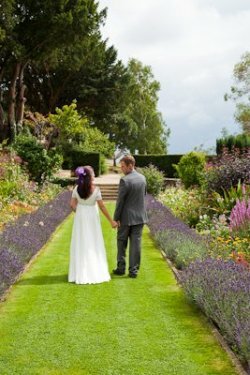 Blending of formal and contemporary styles successfully with partner photographer. My greatest strengths: Passionate about producing very high quality images. I have been in photography: Started as an amateur in the early 1980's, converted to digital in 2006 and became full-time professional in 2009. How I got started in photography: Taking photographs in the Middle East as a hobby and developed own film to reduce costs. Decided to pursue professional career in photography in 2006 and took courses at local photography school to develop the skills required to produce excellent quality images. My photographic skills: Able to produce high quality images of people using studio lighting and natural light on location and during events. Use of Lightroom and Photoshop to enhance images. My personality: Easy going and caring. Practical and diplomatic. Geographic areas I cover: All areas of the UK and overseas if necessary. Venues I frequently attend: Areas of outstanding natural beauty or heritage. Sporting events, coasts. I found inspiration from: Anyone who shows determination in overcoming hardship and people who appreciate quality. Photographic training: Blackthorn School of Photography, Cricklade - Courses in General Digital Photography, Portrait photography and Photoshop/Creative Suite editing. Why I like the SWPP: Great magazine articles and helpful advice. Future plans: To continue to develop JS Photography, gain further qualifications and recognition for quality of service.